Occasionally, our customers run into a problem when installing HttpWatch on a PC or server that has no internet access, e.g. to test web servers in a locked down production environment. 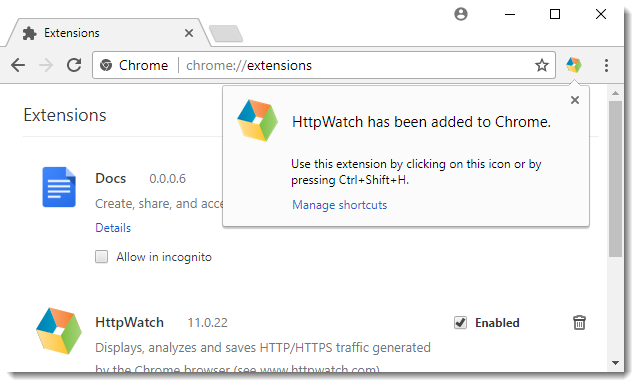 The HttpWatch add-on for Internet Explorer installs and works correctly but the HttpWatch Chrome extension is not added because access to the Google Web Store is required for automatic installation. 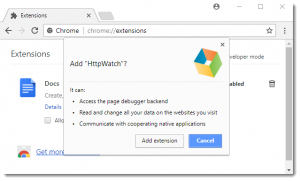 Without an internet connection the HttpWatch Chrome extension has to be manually added using the steps shown in this blog post. 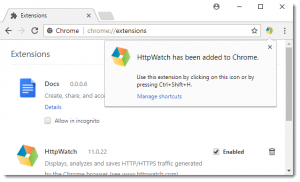 Although the details below relate to HttpWatch, the same technique can be used to install any Chrome extension to an offline PC. UPDATE: The CRX file is now available in the HttpWatch install directory (version 11.0.25+). The extension is now fully installed and available for use. 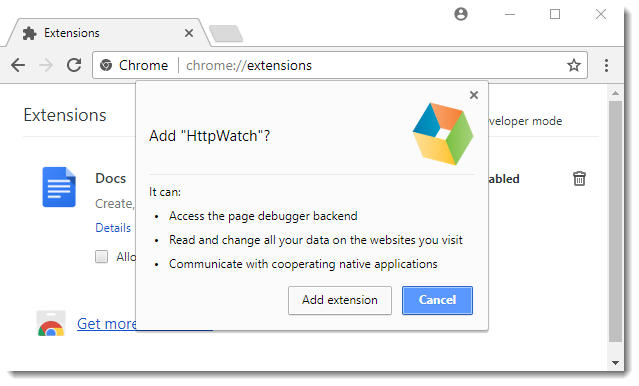 Of course, you will not receive automatic updates to the extension unless you connect to the internet or repeat steps 1) and 2).